Happy Birthday Dad! Seventy years young today! Proverbs 1:7-9 – The fear of the LORD is the beginning of knowledge; fools despise wisdom and instruction. 8 Hear, my son, your father’s instruction, and forsake not your mother’s teaching, 9 for they are a graceful garland for your head and pendants for your neck. 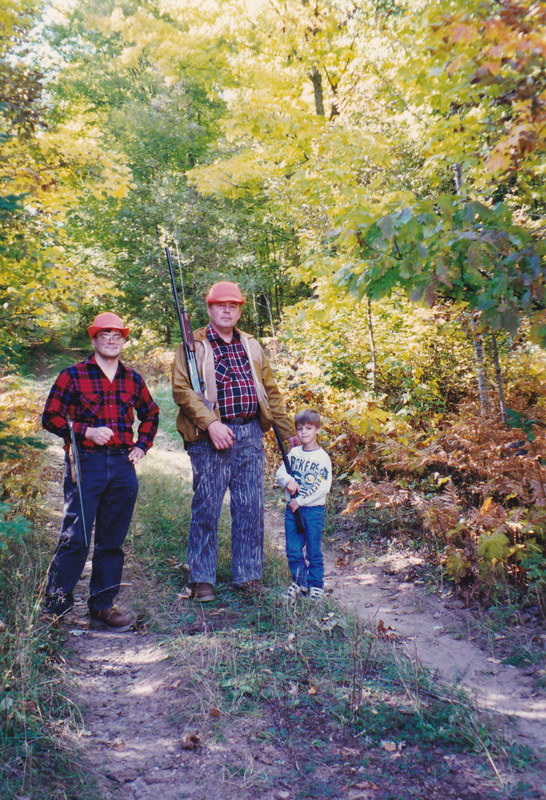 Grouse hunting with my dad and son (many years ago) in the Upper Peninsula of Michigan, near the town of Ralph. Being raised learning to love the outdoors was a true blessing and something I have carried with me throughout the years. Hunting and fishing with dad are some of my fondest memories from childhood. But the greatest blessing of all was having parents who brought me up in the knowledge and fear of the Lord! Thank you for all you have done for me throughout my life Dad! May God bless and keep you today and always! This entry was posted in God is Revealed... and tagged Bible, Birthday, Christ, Dad, Ephesians 6, Epistle to the Ephesians, Exodus 20, Father, Fatherhood, Fishing, God, Hunting, Jesus, Jesus Christ, Lord, Proverbs, Proverbs 1, Son, Ten Commandments, Upper Peninsula of Michigan by Todd D. Nystrom. Bookmark the permalink. All I can say about this post is thank you my son. God has blessed me in more ways than I could possibly tell you. You and your sisters were always my and mom’s priority. Although we probably made many mistakes, we tried to do our best. Your spiritual well being was the most important part of your upbringing. As I was raised in a Christian home, I wanted you to know the joy of being a child of God. By God’s grace you grew up knowing the saving grace of our Lord and Savior Jesus Christ. I love you my son, and thank you for all you have done and continue to do for me.